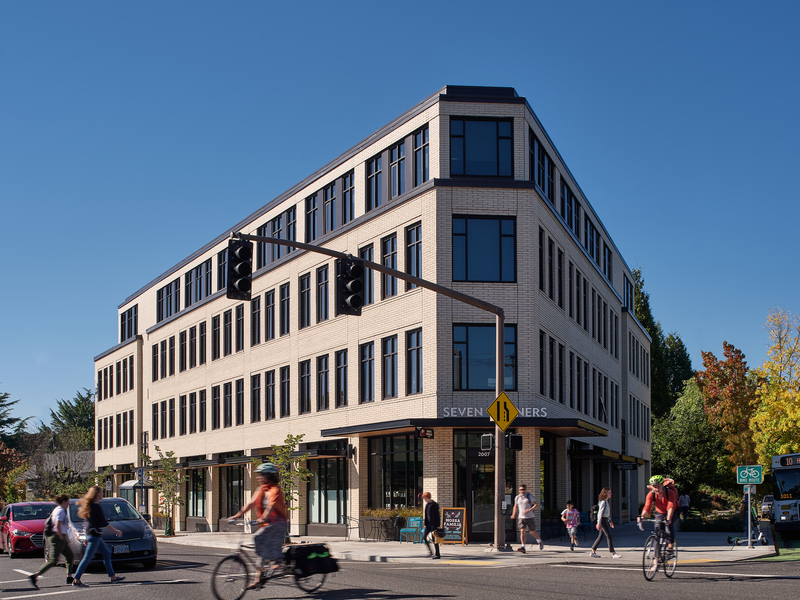 The Seven Corners Collaborative officially opened in Summer of 2018! Six nonprofits who each provide services for people with disabilities are now all located under one roof. This greatly improves the ease of access to services and creates a hub where people can come to feel welcome, have their questions answered, and share their experiences. We have also created a place that fosters great collaboration, resulting in a stronger voice for people with disabilities that will inevitably bring about significant and long-term change. 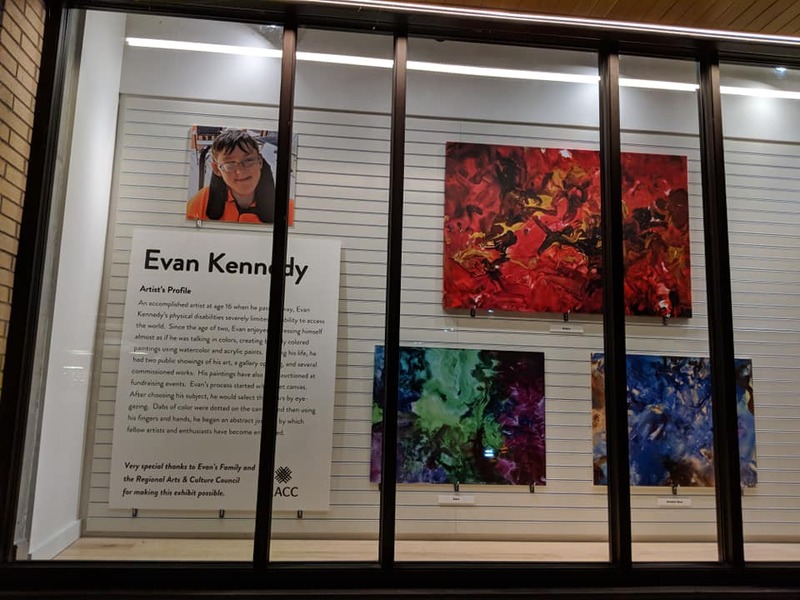 The Seven Corners Collaborative also houses our new Assistive Technology Lab, an Art Gallery that displays the work of artists with disabilities, and an interactive kitchen where people can explore possibilities for their own home. 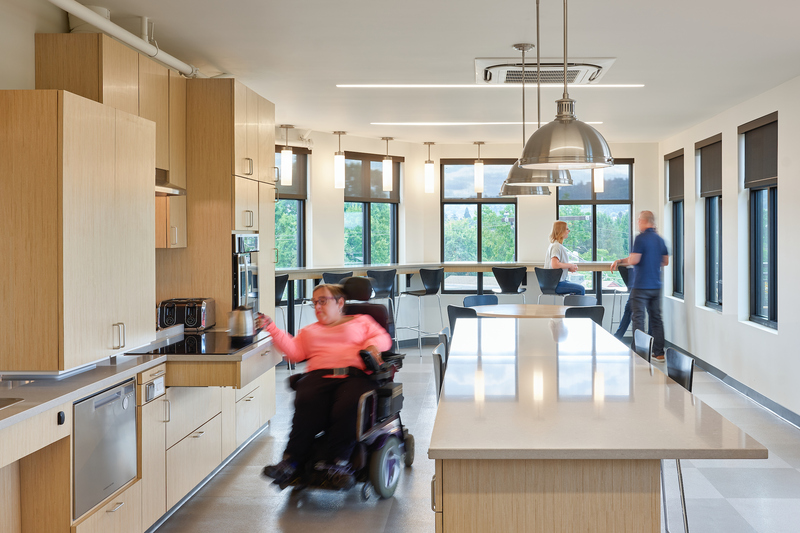 Lastly, it was built using the principles of Universal Design, and is an example of accessibility and inclusion that we hope many others will follow! Come by for a tour and check it out! Email info@cvision.org to set up a time. For more information on the building, head over to sevencornerscollaborative.org.